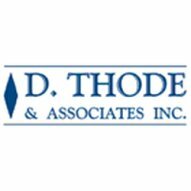 Follow D. Thode & Associates Inc. Licensed Insolvency Trustees & Administrators of Consumer Proposals. Get educated, and learn the best way to find yourself free of debt. 756 total views in Klusster. Join Klusster now and reach more people online! Can I really reduce my Debt by 80%? The short answer is, probably. There are only 2 legal alternatives for reducing your debt in Canada. What is the Difference Between Bankruptcy Lawyers and Trustees? If you are filing for bankruptcy this article will help clarify the difference between a Bankruptcy Lawyer and a Licenced Trustee. What happens if I win the lottery while under Bankruptcy? Many people assume that winning the lottery or receiving an inheritance would be outside the scope of the bankruptcy proceedings, but this is not the case. What is a Consumer Proposal? How do I file? A Consumer Proposal is a formal legally binding debt settlement arrangement between a debtor and his unsecured creditors. Many people who are having trouble solving their debt problems find it difficult to know where to turn. I am STRESSED about money!! You are not alone. However, there are things you can do to reduce that stress. An increase in bankruptcies and insolvencies is predicted within the next year. At one time or another, most people have found themselves a little short on cash before payday rolls around but are Pay Day Loans the answer? The only things we can truly count on are death and taxes. A Licenced Insolvency Trustee can help you to come up with the best plan for your tax debt. A New Year is the perfect opportunity to reassess your financial situation and see if there are any adjustments to be made.